Looking for hotels near Strasbourg Cathedral? Offering a terrace and free WiFi, L'Appart du Quai is located in the City-Centre - Petite France district in Strasbourg, a 5-minute walk from Strasbourg Christmas Market. Providing free WiFi, Quai 17 Maison d'hôtes offers accommodations in Strasbourg, a 2-minute walk from Strasburg History Museum and 0.6 miles from La Petite France. Set in Strasbourg, LIFE RENAISSANCE - New Concept offers studios and apartments with free WiFi and air conditioning. Located within 1640 feet of Strasburg History Museum and 0.6 mi of The 'Petite France' in the City-Center - Petite France of Strasbourg, Carpe Diem Home offers accommodations with a kitchen. Apartement Place De La Cathedrale is located in Strasbourg, a few steps from Strasbourg Cathedral. Strasburg History Museum is 656 feet away. Free WiFi is offered throughout the property. Hôtel & Spa Le Bouclier D'or is located in the historic La Petite France district in a 16th Century building, a 5-minute walk from Strasbourg Cathedral. Located in Strasbourg, in a building dating from 2018, Hôtel ORIGAMI offers a bar and guestrooms with free WiFi. The selection of the breakfast was great, organic and bio food. 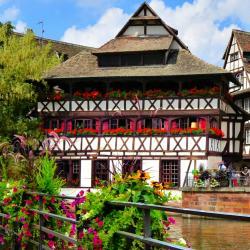 BOMA easy living hotel is set in Strasbourg, 984 feet from The 'Petite France'. Guests can enjoy the on-site bistrot. Free WiFi is offered. Excellent service, clean and comfortable room, great location and ambience! Set in a historical building of the 18th century, this hotel is located in Strasbourg, only 656 feet from the city center. With free Wi-Fi, it also offers a business center and private parking. Incredible location, super friendly and helpful staff and just the most beautiful hotel. Ideally located in the center of the city of Strasbourg, across from the cathedral and next to the historic district of La Petite France, the Hotel Gutenberg has free Wi-Fi access in public areas. I liked that it was located close to key city attractions. 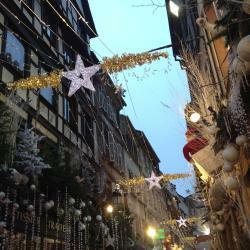 Featuring a shared lounge, Hotel Arok is located in Strasbourg and is 1.2 miles from Strasbourg Christmas Market. This 3-star hotel offers a 24-hour front desk, luggage storage space and free WiFi.... Very comfortable beds and clean. Breakfast was delicious and the hotel location was perfect. Hôtel & Spa Le Bouclier D'or is located in the historic La Petite France district in a 16th Century building, a 5-minute walk from Strasbourg Cathedral. The hotel is in a fabulous location in the old town. Hotel Des XVis a boutique hotel located in Strasbourg, 328 feet from l'Orangerie Park. 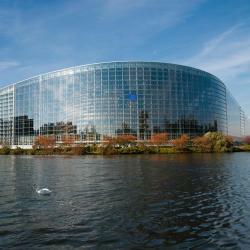 The Council of Europe is 15 minutes away by walk and the European Parliament can be reached within 20 minutes. Everything!! It’s been a long time since we’ve been able to give an all 5 star review in anything. Located a 10-minute walk from Strasbourg’s pedestrian area, Holiday Inn Express Center offers free internet access and a free buffet continental breakfast. The hotel was extra! Interior and exterior are made with a STYLE! Located in front of the train station, ibis Strasbourg Center Gare is a 24-hour reception hotel with a bar and air-conditioned rooms with an LCD TV with cable channels. Location across the street from the rail station is ideal for cycling travelers. Hotels with great access to Strasbourg Cathedral! Just a few minutes from the historic center of Strasbourg, halfway between the European Parliament and the central train station, the hotel is in a warm and friendly setting. The bed was comfortable, the neighborhood was pleasant and quiet. Hôtel Graffalgar is located 656 feet from Strasbourg Train Station, a 5-minute walk from La Petite France and 0.6 mi from the Christmas Market. It offers free Wi-Fi internet access. Location, great art, wheelchair accessible. Boasting a garden and a restaurant, Golden Tulip Strasbourg Center the Garden is set in Strasbourg. With a terrace, the property also features a shared lounge, as well as a bar. 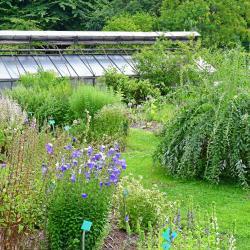 The location was near the train and only a short walk into the city center island and petite France. Hôtel De L’ill is located in a one-way street in Strasbourg, halfway between the cathedral and the university. It offers a large terrace and modern guest rooms. The staff was very friendly and helpful. The rooms was very nice and clean. 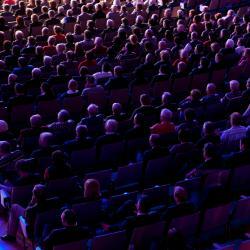 People are talking about Strasbourg Cathedral! 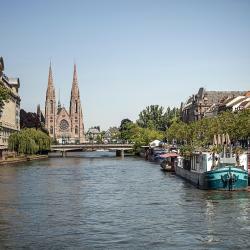 Explore guest hotel reviews featuring "Strasbourg Cathedral"
The service was excellent here. Matthieu was a wonderful concierge. We just pulled up in the car and he and the staff took care of everything. The location is fantastic - nearly adjacent to the public squares and shopping district. A short walk to the Strasbourg Cathedral. The hotel bar/cafe was nice to pop down to for a coffee or drink. The outdoor part of the restaurant was especially nice as it's alongside a church and on a small, quiet green with large trees. I was very happy at the Sofitel and will be back. Three of us have spent here 4 pleasant and enjoyable nights and the apartment was very cozy, clean and well equipped. Hotel is located in magnificent neo-gothic building at the Place Kleber in the very centre of the city where is everything, including main city landmarks like Strasbourg Cathedral, Palais Rohan or Petite-France, very close, in average from 5 to 10 minutes walking distance. Very clean and tidy. It is as central as it gets, also just around the corner is the Strasbourg Cathedral, which is amazing. Boat tours is a 3 min. walk away. Strong suggestion for people who are after value.